I always though that the Luxury Labels only harms the pocket but thanks to The US Consumer Product Safety Commission I have discovered that they can do physical harm too. 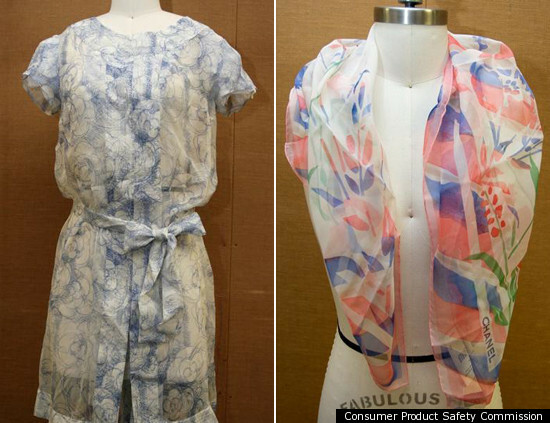 Chanel had to recall Silk Scarves and Garments due to Violation of Federal Flammability Standard. 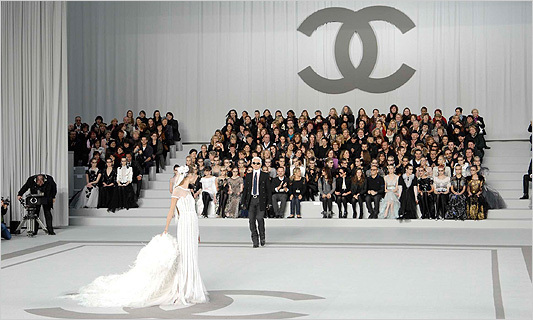 Purveyor of some of the most desirable high-end luxury goods, Chanel has issued a recall of 120 scarves and 34 garments. The danger? The clothes fail to meet federal flammability standards and thus pose a fire hazard to all of Chanel’s well-heeled customers. The US Consumer Product Safety Commission issued a ‘Recall Alert’ on July 07 2011 ordering Chanel Inc. of New York to recall specific Chanel silk scarves, dresses, skirts and blouses for posing a fire hazard. The price of these products ranged between $430 – $3650. These products were made of 100% Silk. Do we have similar Quality Control or Standards Check in India? Wonder how many designer labels would then pass such Tests. But yes the Desi Designers Exporting to the US must be complying with it! You can certainly see your enthusiasm in the paintings you write. The world hopes for more passionate writers like you who are not afraid to mention how they believe. At all times go after your heart.